Most marketers believe that the purpose of any startup marketing strategy is to generate leads for the business. And they are not wrong. Gone are the days when you had to conduct extensive marketing gimmicks to earn quality leads. 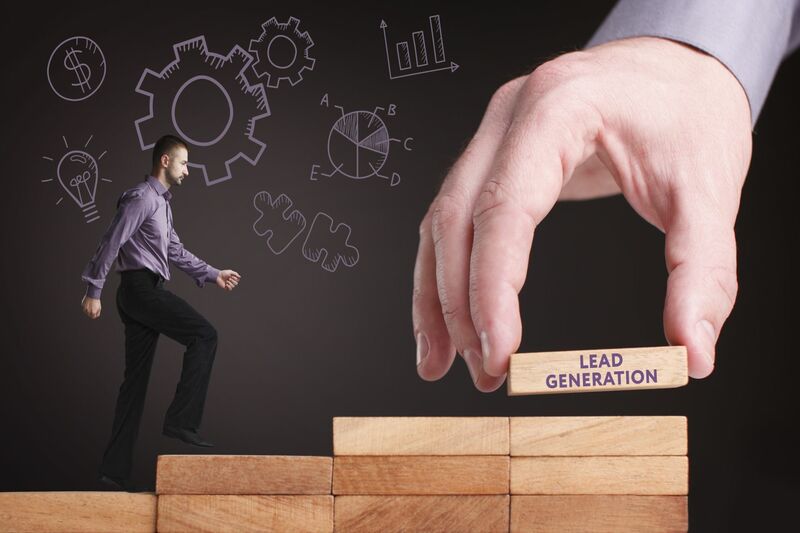 Today, there are various smart lead generation strategies to help your startup reach its target market and expand to reach a more global audience and enjoy more conversions. The marketing process of captivating your target audience’s attention and interest for your core competence thereby building a sales pipeline and developing a marketing funnel is lead generation. Over the years, lead generation has evolved to include digital channels such as website traffic, blog readers, social media followers, among others. Today, the process of buying has changed. Buyers can search online for what they are looking for and get educated on any topic and make a more informed decision. Couple that with instant gratification, and you have a swift buying process. Therefore, marketers need to constantly bring their A-game when it comes to building a list of prospects and customers that their business can market to. How to go about developing a winning lead generation strategy? A strong online presence and smart digital marketing strategy will help startups to win at generating quality leads. However, the traditional approach of participating at tech conferences and startup events goes a long way to network with industry experts and build an avid fan following. Ideally, your lead generation strategy should be a combination of inbound and outbound marketing tactics. The marketing process of enabling your target audience to find you, even before they are looking to purchase from you, and then turning them into brand loyalists and eventually into a lead and then a customer, is called inbound marketing. Inbound marketing typically involves marketers to rise above the noise on the web and enable people to find you seamlessly. As mentioned above, buyers seek information on the internet of whatever interests them and it is your job as a startup marketer to get them to listen to your voice and get them to buy from you. How do you do that? To achieve this feat, you will need to create a solid SEO strategy, a smart content marketing strategy, and a watertight social media marketing goal sheet will truly help to build and amplify your lead list. However, this alone won’t cut the mustard. You must create engaging and informative content and distribute it across the right channels. Content marketing is the foundation of an effective inbound marketing strategy, not mention the cornerstone of an organic marketing strategy too. Starting a blog is a brilliant way to kickstart and consistently support your content marketing strategy. Write about topics that people are searching for. You can use tools such as SEMrush to search for trending topics and pepper it with long tail keywords that will help your content to rank higher on search engines. Smartly insert your core competence in every blog so when your readers stumble upon your content, they have a reason to eventually browse your website. Remember to include CTAs (call-to-action) and highlight them so your readers can immediately sign up for a demo or follow you on social media. Well-thought-out content will keep your readers interested and coming back for more. This will also help to establish you as an expert in your niche. Your website is your virtual office where people can reach you at any time and from anywhere. This is where the magic of conversions happens. Content marketing helps boost SEO, and this will help your website to rank higher on search engines. Include a slick design for your website and a logical flow of information along with content that is powered by relevant keywords and phrases that you wish to rank for. Once your target audience lands on your website, you have to get them to sign up for your newsletter or fill out a contact form. This is only possible when you optimize your website for converting casual browsers into actual leads. Highlight and pay attention to forms, Calls-to-Action (CTA), layout, design, and content. The world is a more connected place with social media. Your prospects and future customers are online on social media. You need to create a striking social media presence for your startup in order to generate quality leads. Users often search for your brand on Facebook or Twitter or Instagram search for additional information and gauge the credibility of your business. Having a dedicated social media page means you can have your prospects reach out to you and convert them into leads. In the current landscape, inbound marketing is a highly effective lead generation channel. However, a well-rounded lead generation strategy should include certain outbound marketing strategies. Outbound marketing is the process of attracting the attention of your prospects and target audience though rented solutions such as participating in startup events, tech conferences, email marketing, and advertising. Outbound is a great way to complement and amplify your inbound efforts. Startups can benefit greatly from participating and exhibiting at tech conferences such as Web Summit, TNW, Collision, RISE, and others. Not only are these events a great place to network with investors and industry experts but they also double up as a place to generate high quality and relevant leads for your startup. Global events such as these help to introduce your startup to the world and enhance brand visibility like never before. Couple this with a social media buzz and you have a lead generation magnet. In fact, startups that are members of the Startup League get a chance to exhibit at leading tech festivals and conferences from around the world for free! This year too, multiple startups are headed to Web Summit with the Startup League. According to MarketingSherpa, email marketing is the most effective lead generation tactic. Email is a key component of an outbound marketing campaign. Reaching out to your target audience via email is a practice undertaken by most brands and businesses to entice people to sign up for a demo or to make a purchase. This technique is especially fruitful when you are participating at an event (like we mentioned above). Getting people to visit your booth or simply to announce your presence at a leading tech festival is a great way to build trust and respect for your brand and have people flock to your website to sign up with you. You may have to package your announcement with freebies or an offer. In lieu of support to your inbound efforts, you can run display ads and pay per click ads on search engines to get your target audience to read your content or land on your website for the keywords that you wish to rank for. Display ads help to target different demographic or behavioral actions and you can also decide where the ads will appear. Through online display ads, you can reach a highly specific target audience and thereby drive leads. Pay-per-Click (PPC) ads are sponsored posts displayed on search engines. PPC means you pay for each click on your ad displayed on a search engine such as Google or Yahoo. PPC ads are a highly effective way to draw attention to your latest content. The upside is that PPC generates very high-quality leads. 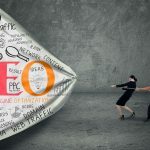 These inbound and outbound marketing strategies will help you with your lead generation process and catapult your startup to success. In case your startup is looking for marketing support at events and tech conferences, sign up with the Startup League.